Since 2002, I have considered myself to be a full-time, Professional Wedding Officiant and have devoted most of my time to learning “all” about the wedding business, not only the wedding ceremony. The Association of Bridal Consultants (ABC) has contributed greatly to my wedding career. 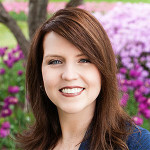 I pass this learning along to brides and grooms in the form of more than 500 FREE articles I have written on my Wedding Blog (http://CelebrateIntimateWeddings.wordpress.com) as part of my “giving back.” I am offended by wedding publications who consistently omit the names of Wedding Officiants. Thank you, IAPWO, for your thoughts on this. 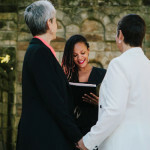 In Australia, the first country to have federal government backed and authorised Civil Celebrants in the World (over 40 years ago) we still face similar issues as mentioned above, but what I find interesting is in the states (If I am not mistaken) the tendency is to refer to one self as Reverend. This alone creates the impression of clerical authority so is it any wonder that some still see it as a religious issue rather than falling into the fully secular domain.